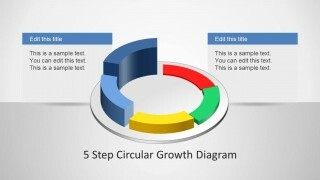 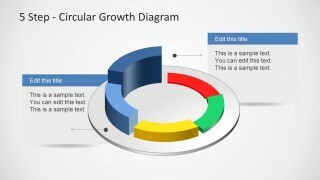 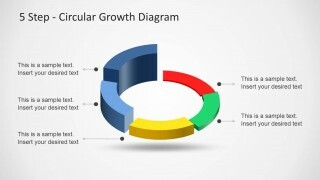 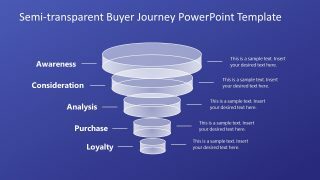 5 Step Circular Growth Diagram for PowerPoint is a five step growth diagram template that can be used for making circular diagrams. 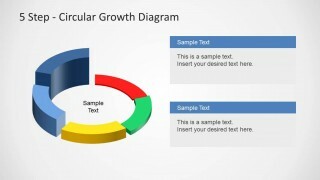 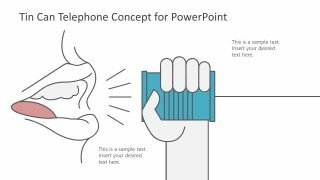 The template comes laden with different layouts that can help you create circular diagram slides in a matter of minutes, by simply adding text to the sample slides. 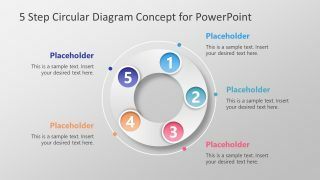 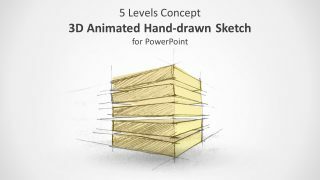 Moreover, the template is highly customizable and you can comprehensively edit the elements within the sample slides to also create custom diagrams and to adjust the sample designs to match your requirements.